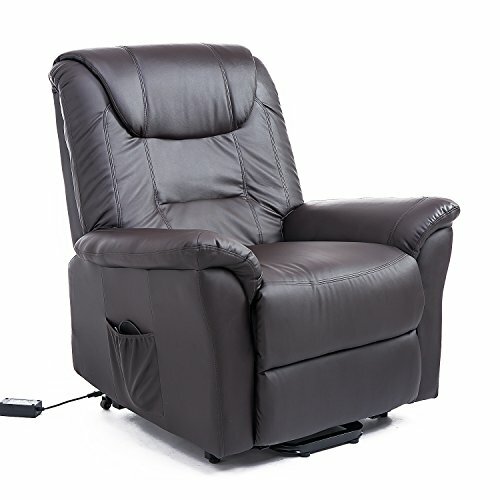 Our HomCom electric lift chair allows older and ailing people the ability to rise from a chair with greater ease thereby improving their mobility, comfort and independence. It's as simple as pressing a button on the attached remote control. From there, the chair handles the rest, gently moving up and forward to allow a person to easily rise to their feet. They can also raise the chair to a higher level before sitting down making it easier to sit instead of having to bend down making it an excellent choice for those suffering from arthritis and other health problems. - Remote Control Cord Length: 35"
- Power Cord Length: 69"